Dubrovnik Symphony Orchestra under the baton of the Italian conductor, maestro Stefan Mazzoleni, together with saxophonist Lovro Mercep will perform today 31th July at 9:30 pm in the Rector’s palace atrium, with music pieces by Alberto Ginastera, Ivan Koncic and Igor Stravinsky. 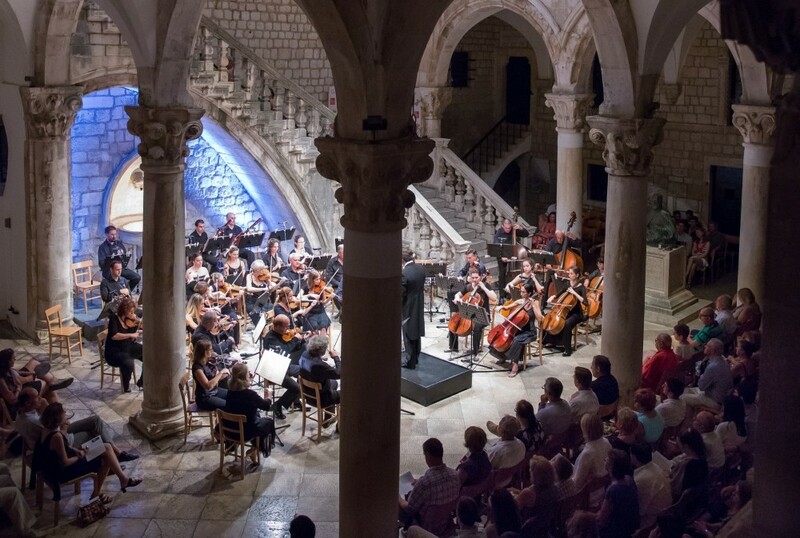 Dubrovnik Symphony Orchestra performances at the Dubrovnik Summer Festival with guest soloists and conductors are a real musical treat that always attracts a large audience to the atrium of the Rector’s Palace. The orchestra will be conducted by the 20th-century music specialist, Stefano Mazzoleni who is also the conductor of numerous musical ensembles and has worked with prestigious soloists worldwide. In addition to being an excellent conductor, Stefano Mazzoleni is the founder of ‘The windows of the 20th century’ music festival , ‘Diastema’ music magazine and the president of the ‘Ensemble 900’ publishing specialized in articles about music, which has released over 50 titles. Well known to the festival audience, a young saxophonist and a laureate of numerous national and international competitions, Lovro Mercep will perform as a soloist. His musical excellence is confirmed by the fact that young composers Goran Tudor, Sara Glojnarić and Ana Horvat dedicated their compositions to him and he, in return, often performs them himself. Works of one of the most relevant composers of 20th-century classical music, Argentinian Albert Ginaster, will be included in the concert program; more precisely the suite Dances from Estancia ballet. Premiere performance of the Concert for saxophone and strings by awarded fellow citizen Ivan Končić, a piece that this young composer wrote for a dear friend and an incredible musician Lovro Merčep who will perform it at this concert, will be a true musical pleasure. The suite Pucinella by the most influential composer of the last century, Igor Stravinski, will be saved for the end of the concert. Tickets are available online at www.dubrovnik-festival.hr, the box offices at the Festival Palace, on Stradun, at Multimedia Centre Visia and at Cultural and Informational Centre in Luza, as well as at the box office at the entrance, one hour before the performance.